Kerala, Gods own country, is a state with nature’s abundance beauty. It has the famous backwater, green valleys, numerous lakes, waterfalls. 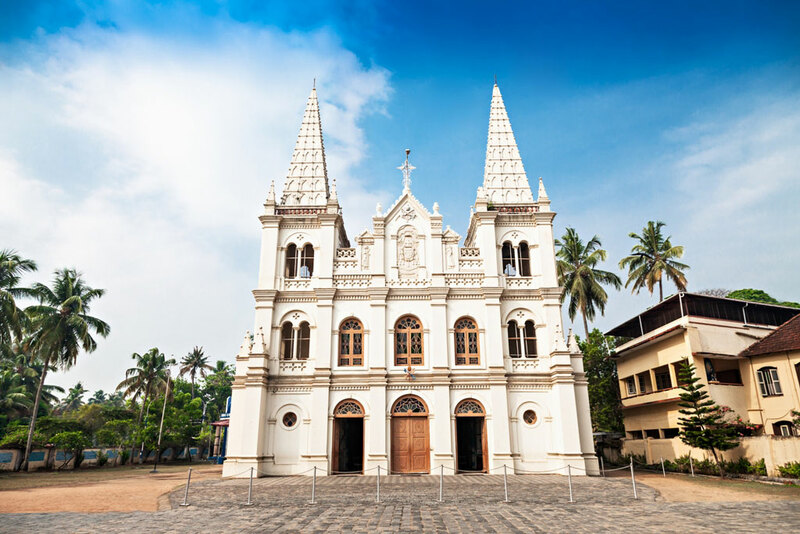 While visiting Kerala, among the sightseeing, it would be a very great experience to visit the various churches in the state which has beautiful architecture and history attached to it. The state is worldwide famous for the festival of Onam, which is a state festival rather than a festival of any particular religion. Kerala has a diverse blend of different cultures, religions and communities. Its famous for various other things like the Kathakali dance, their art, archaeological movements, different types of cuisine. The language of Kerala is Malayalam and nowadays Malayalam cinema has also become famous. The state of Kerala became a single state on 1st November 1956 by combining the individual kingdoms of Kochi and Trivandrum and the Madras Presidency. Probably, the first state in India to receive Christianity, it is today the third most practised in Kerala. The origin of the introduction of Christianity goes back to CE 52 when St. Thomas, one of the Apostles of Jesus Christ founded the religion in India. From Kerala, the religion spread to other southern states and later to the whole of India. With the arrival of Syria immigrants, Syrian Christianity in Kerala also formed. Churches were built later, and the architecture of these churches have a substantial European architectural influence. 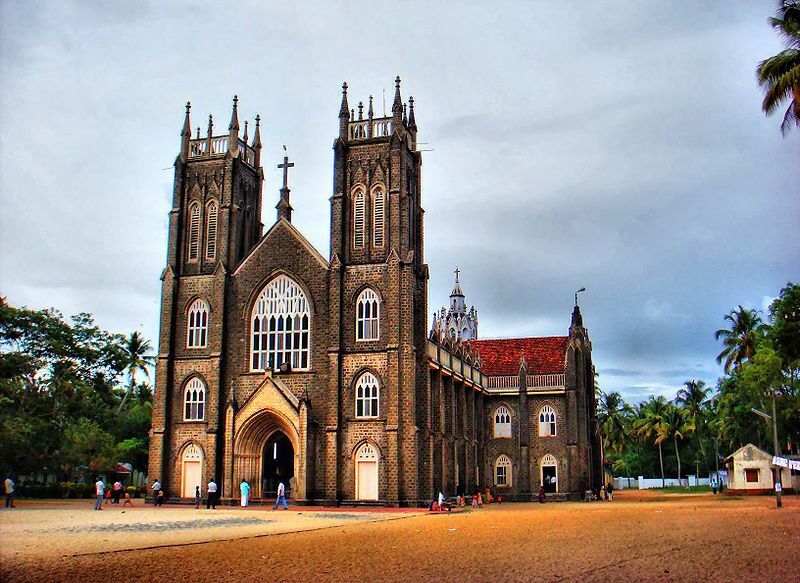 Whenever in Kerala, you must visit these beautifully designed churches. Below is a list of few of the churches in Kerala that you must visit while in Kerala as a visitor, or a student of architecture or to learn and see new things. They say that this church in Fort Kochi is the oldest European church in India. It came into existence in the 16th century. It first had timber walls and roofs. Afterwards, the church was reconstructed in stone masonry. Speciality: It was the burial place of Vasco da Gama. But later, people transferred his remains to Lisbon, Portugal. The church in Manna belongs to Malankara Orthodox Syrian Cathedral. The church is devoted to St. Gregorios Geevarghese who was known as Parumala Thirumeni. Speciality: People say that the chapel inside the church has spiritual powers. Hence, many devote come and pray here. Also known as “The Church of Our Lady Ransom’, it is a tribute to Mother Mary. It was rebuilt in 1676 after being destroyed during the Dutch period in India. But, originally this church was built by the Portuguese. Speciality: The Mother is fondly remembered as Vallarpadathama. It is situated around 22 km north of Alappuzha district and is also known as the Arthunkal Church. This church is also know as St. Sebastian’s International Shrine. Speciality: In around mid- January each year, a feast is held here which is attended by thousands of devotees. Its called the Arthunkal feast. There are only eight famous Basilicas in India, among which this is one. It is based in Fort Kochi. 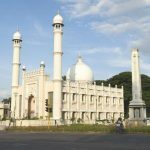 It was built in 1500 CE, around the time of arrival of Portuguese missionaries after taking the permission of King of Cochin. Speciality: It has a tremendous and daunting structure and is famous for its splendid style of and architecture. It’s a famous Malankara Jacobite Orthodox Church and features Indo- Persian style of architecture. This church is some 30 km from Kochi on a hill. The death anniversary of Kadamattathu Kathanar (Kadamattom Feast) is a famous festival occuring during the January – February period. Speciality: Its named after the famous mystical and numinous priest Kadaattathu Kathanar. 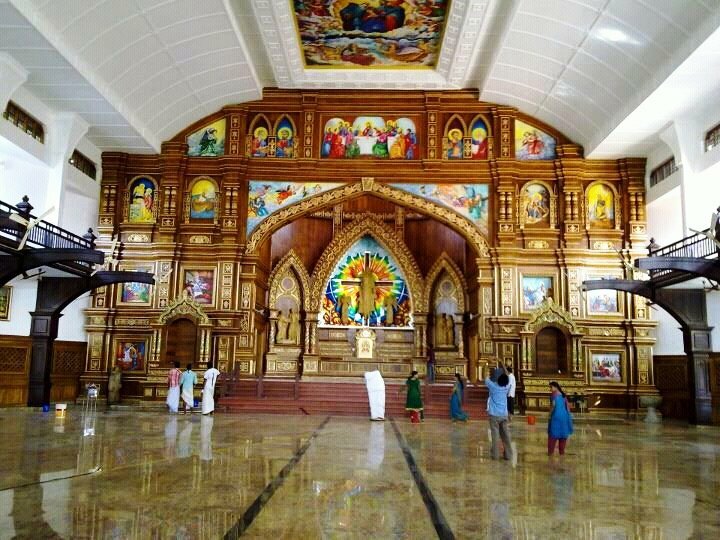 Around 10km from Ernakulam, this church is in Edapally. It came into existence in the year 594 AD. Afterwards, there were many revamps. This church is the oldest Roman Catholic Church in Kerala according to records. Speciality: This church has a well which is famous as a miracle well. Devotees believe that it has curing powers. People drink the water from the well and collect it in bottles and take it home to. Every year, on April 23rd, the feast of St.George is held which ends on May 15th. 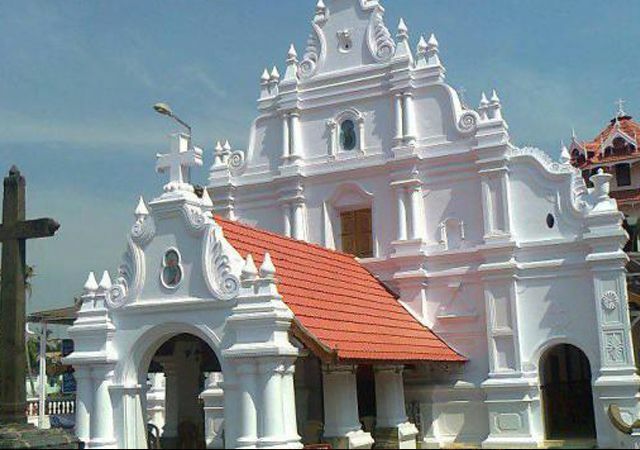 One of the most famous pilgrim centres for the Christians, this church is in Malayattor. Speciality: It’s famous for the fact that St. Thomas, the apostle of Jesus Christ came here first to start his missionary work in India. But he got an unfriendly and hostile reception. 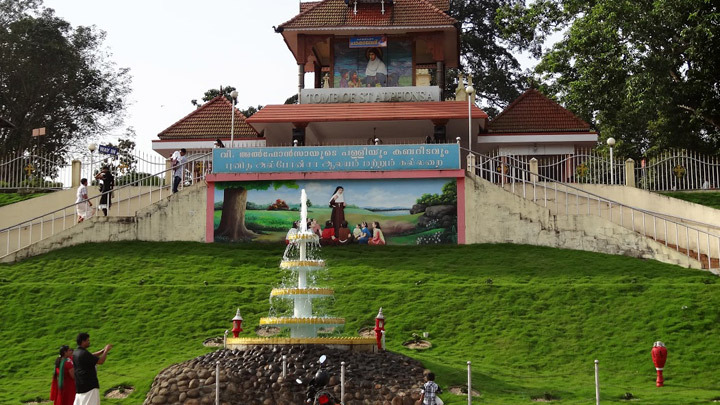 He went to a mountain top in Malayattor and prayed to the Lord. Mother Mary made an appearance to reassure him. Hence people built a church atop this mountain. 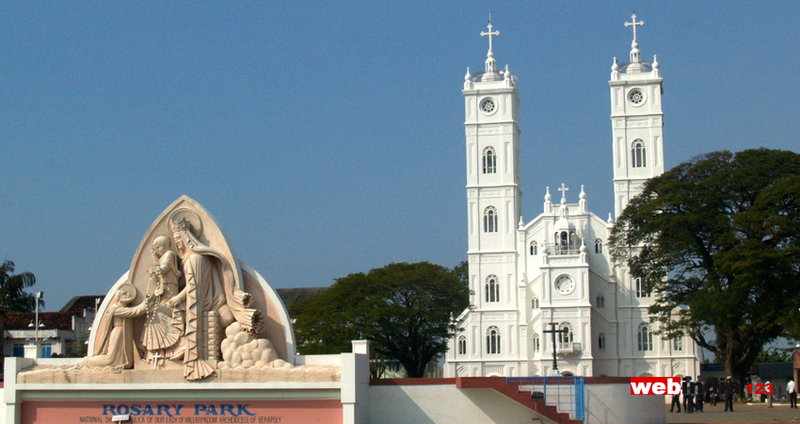 This church is located at Thrippunithrua in Kochi. It came into existence in the 12th century by the parishioners of Karingachira Church. Speciality: The land for the church was donated by Valamthuruthy Bhattathiri on the 12th century. 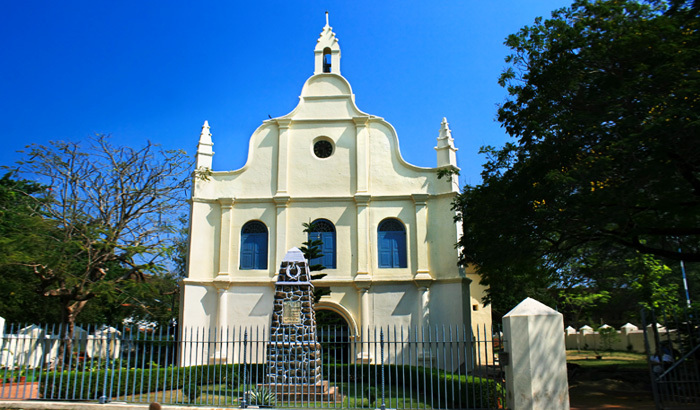 Cochin Royal Family is the patron of this church. St. Alphonsa was the first saint of India and this church got its name from her. It is in the Kottayam district. Each year in July, St. Alphonsa feast is held. It’s a very popular event. Many devotees as well as tourists attend it. Speciality: After her canonization on 12th October 2008 by Pope Benedict XVI, this church came into existence in her honour. 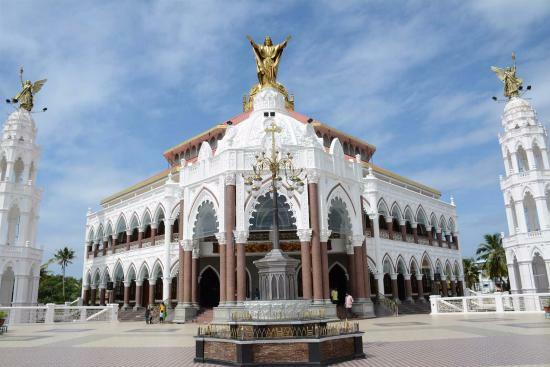 Situated in Kottayam, this church is 172m tall. It has Gothic style architecture. Speciality: It is one of the tallest church towers in Kerala. 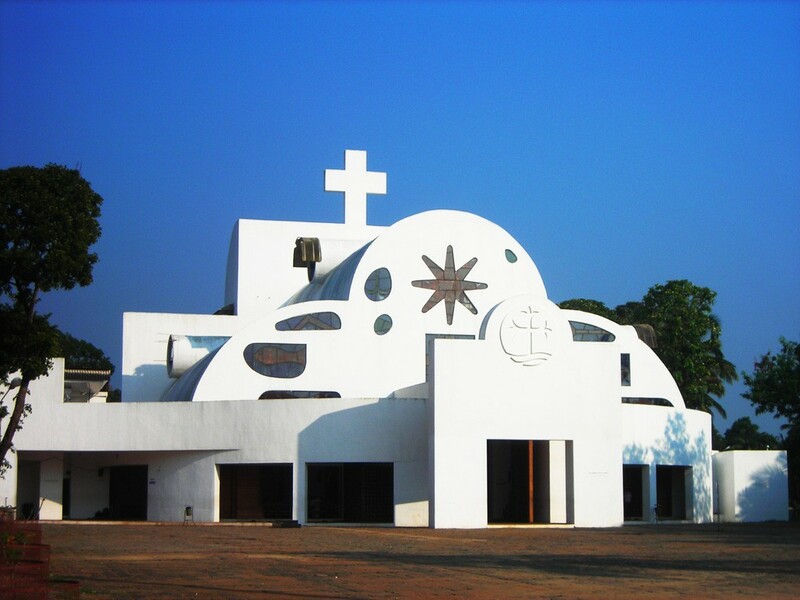 The beautiful Latin Catholic church honouring ‘Our Lady of Lourdes’ is in Wayanad. A French priest, Father Jefreno built it in 1908. Speciality: Observers note that many of the ceremonies held in the church are similar to the rituals and traditions of Hindu temple. 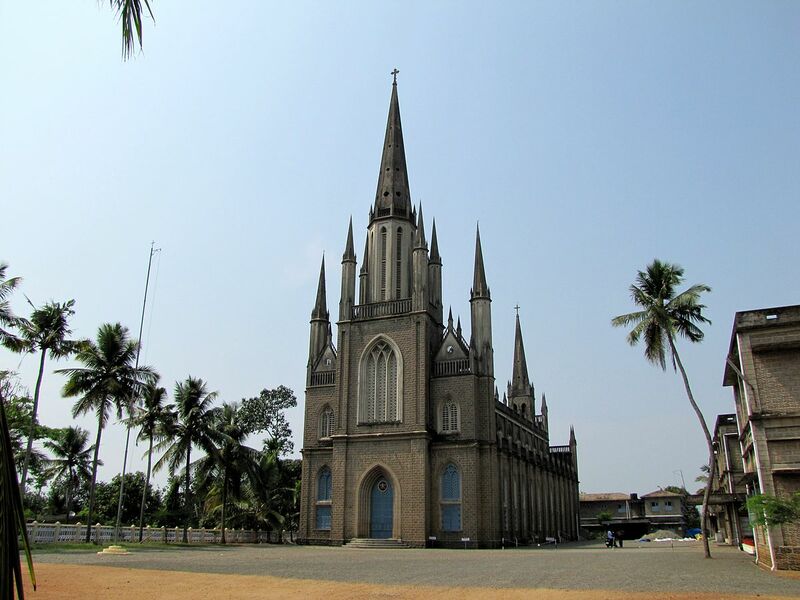 Catholic Rosary Church is another church in the state of Kerala, which is very famous for its architecture and is mesmerising to look at even at first glance. This church is located in Thalassery. 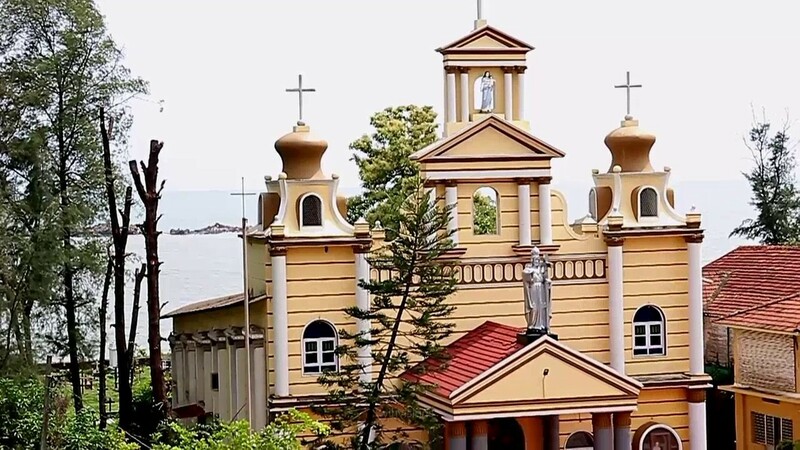 Speciality: Its located near the Thalassery fort and beach, so a visit to this church can and should include a visit to the fort and beach as well to enhance your experience fully. 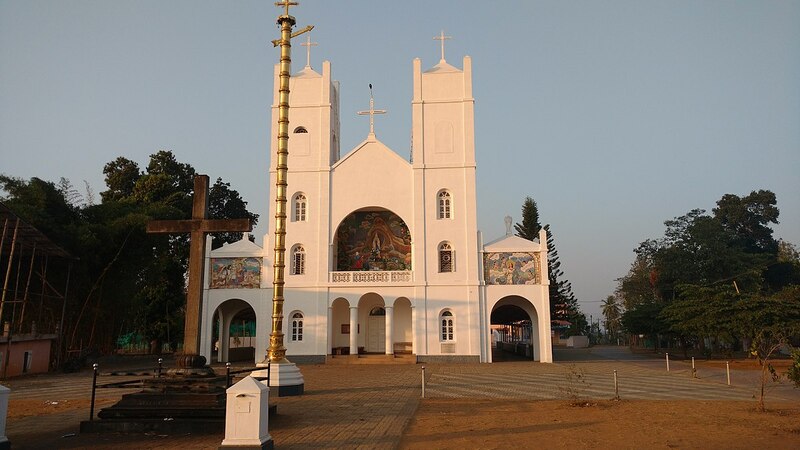 Any tourist should have few of these churches in their itinerary when they visit Kerala. You can visit them all year round. Many churches have feasts, so one can select the churches to visit and plan their visit around the time of the feast.